﻿ Premiere Classe Apartment Hotel Johannesburg. JIMAT di Agoda.com! Ada soalan mengenai Premiere Classe Apartment Hotel? Premiere Classe Suite Hotel, terletak di Melrose, Johannesburg, merupakan satu pilihan popular bagi para pelawat. Terletak 4 km dari keseronokan bandar, hotel 3-bintang ini terletak di lokasi yang sangat baik dan menyediakan akses kepada tarikan terbesar di bandar. Bagi anda yang ingin pergi agak jauh, Gerbang Melrose, Kelab Golf Wanderers, Santuari Burung Melrose merupakan beberapa daya tarikan untuk pelawat. Di Premiere Classe Suite Hotel, perkhidmatan yang cemerlang dan kemudahan yang unggul menjadikan penginapan anda tidak dapat dilupakan. Untuk keselesaan dan kemudahan tetamu, hotel ini menawarkan Wi-Fi percuma semua bilik, pengemasan harian, penghantaran barang runcit, khidmat teksi, Wi-Fi di tempat awam. Tetamu boleh memilih dari 28 bilik, semuanya yang akan memberikan suasana ketenangan dan keharmonian. Hotel ini menawarkan banyak peluang rekreasi yang unik seperti padang golf (dalam jarak 3 km) . Premiere Classe Suite Hotel merupakan tempat yang ideal bagi penginapan pelancong yang mencari keindahan, keselesaan dan kemudahan di Johannesburg. A little bit to cramp for someone of my size!! Very friendly staff and lovely place to stay. The owner and front desk were very friendly. Jagger was super cute and adorable. However, the hotel deco was a bit tired looking and the wifi even personal mobile Internet were poor in the room. Amazing and friendly staff. Great and secure location. Easy commute. Loved the absolutely comfortable beds. 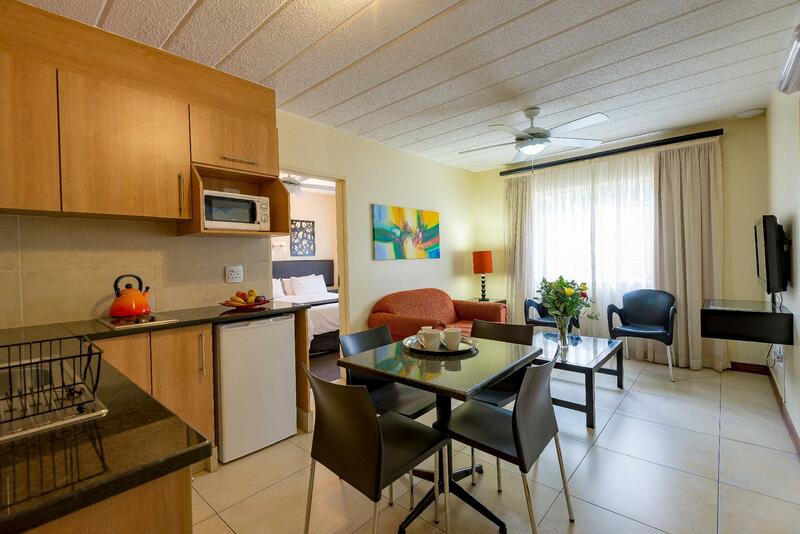 Very clean and close to Melrose Arch without the big price. Shower pressure is awesome. Worth it! Nice and clean apartment, offers everything you need. Very comfy bed and pillows. Only the bathroom was too cold (no heater). Staff was nice. Location is a bit off. You need a car to get around. Lovely places, secured, clean and staff is very helpful and friendly . Located near a big mall with well known shops and supermarket , highly recommended . The room allocated to me - TV did not work. The 2nd room allocated - TV remote did not work but the TV was working. The room was a smokers room, had to sleep with the window open. When I wanted to leave at 05h00 Sunday morning I could not find the security to open the gate. I found the button to open the gate and opened it. I do not know if it closed automatically after me. Pros: - Good Location (Melrose Arch, Rosebank Mall nearby) - Value for money - Clean rooms Cons: - Night time staff very rude (Told my brother to shut his mouth when complained about toilet not flushing and bedside table falling over, however, Belinda made it all right by upgrading to a 2-bedroom suite) - Weak wall heaters Final Verdict: - Well worth the money. - Ask for Belinda or Tumi if there are any problems. - Ask for extra blankets if you are coming from a warm country in South African winter. Location, location, location. Very convenient. Awesome. I even went back second time. We stayed for the weekend. Booking in was quick and Reception accommodating. The self-catering apartment was ready even though we came early. It was clean and adequate for the stay. Will stay there again.